The location is excellent and the view from our terrace was stunning. we loved the entire atmosphere of the place and how relaxing our stay was. Location is excellent, nice sand beach nearby, quiet place. Excellent location with Fab view, Quiet and Ideal for relaxation. Beach was 5 minutes walk from the Hotel. Most charming staffs. I really appreciate the staff. Very grateful they fulfilled my request for an upgrade, and gave us the room we really wanted! They are very reasonable with their prices also. Location was perfect, very friendly staff, stunning views. Very easy to get taxis. Lock in a great price for Bahia Camp de Mar Suites – rated 8.6 by recent guests! 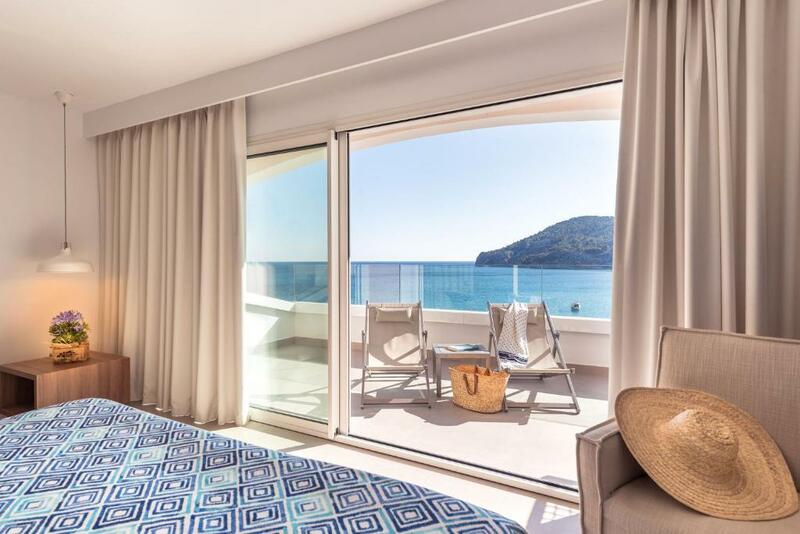 Bahia Camp de Mar Suites This rating is a reflection of how the property compares to the industry standard when it comes to price, facilities and services available. It's based on a self-evaluation by the property. Use this rating to help choose your stay! Bahia Camp de Mar Suites is on Mallorca’s south coast and offers views over Camp de Mar Bay. It has a terrace with outdoor pool and provides free Wi-Fi. 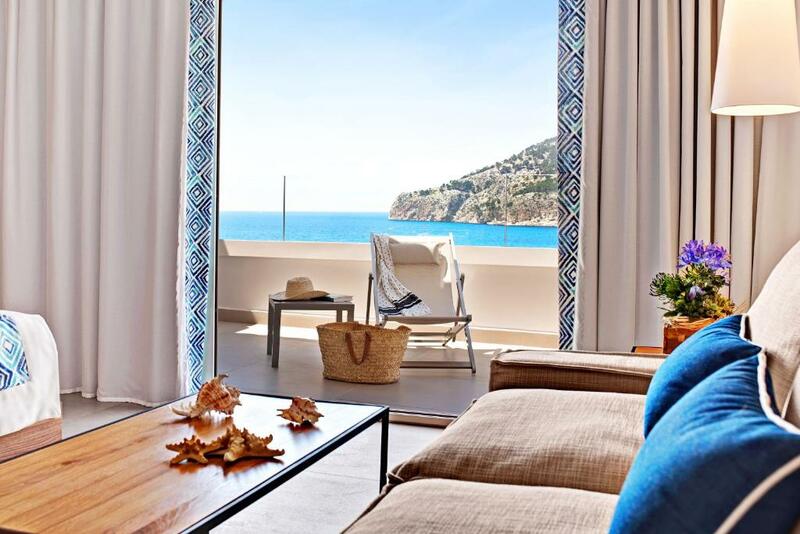 All air-conditioned apartments at the Bahia Camp de Mar Suites come with a balcony with sea views. They consist of a bedroom, bathroom and living-dining room. Each one has satellite TV. The Bahia Camp de Mar Suites has an à la carte restaurant, “Flor de Sal”, which serves Mediterranean and international cuisine. The restaurant has views over the bay. The hotel has a spa with a hot tub, sauna, heated beds and contrast showers, as well as an indoor swimming pool. Massages are available at an extra cost. There is also a children’s pool and play area. The Bahia Camp de Mar Suites is next to Andratx Golf Club and Mallorca’s capital, Palma, is 16 mi away. When would you like to stay at Bahia Camp de Mar Suites? This apartment has air conditioning, balcony and microwave. Free Spa Access is included. This apartment features a kitchen, microwave and satellite TV. This suite features a microwave, balcony and air conditioning. Our professional and friendly team will take care of you while you relax and enjoy a meal at our Restaurant Olea with sea views. The swimming pool and large terrace are the ideal spot to unwind. 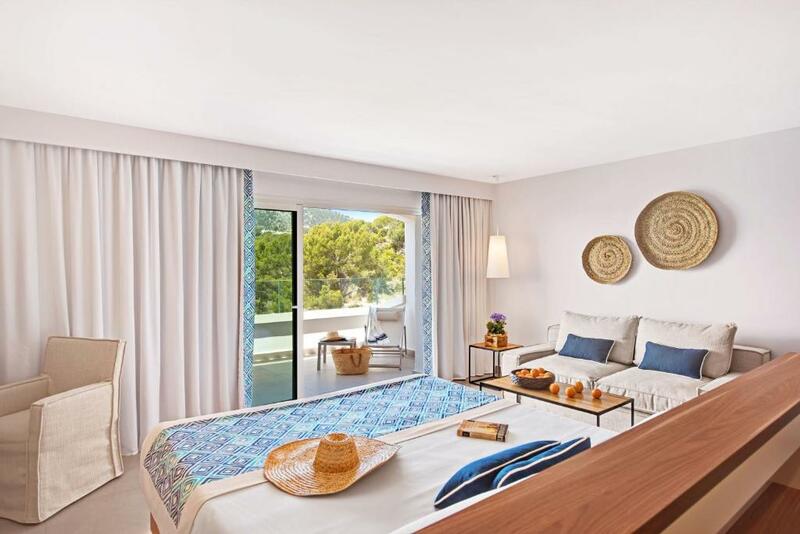 House Rules Bahia Camp de Mar Suites takes special requests – add in the next step! Bahia Camp de Mar Suites accepts these cards and reserves the right to temporarily hold an amount prior to arrival. Please inform Bahia Camp de Mar Suites of your expected arrival time in advance. You can use the Special Requests box when booking, or contact the property directly using the contact details in your confirmation. Beds very comfortable. Location is exceptional. We loved everything about the hotel it couldn’t have been better in any way and we will be back there soon. Food could be better, a lesser choice of meals. Apartment could have benefitted from a kettle, but we managed to make a cuppa in the coffee machine and/or boiling a pan of water. Fridge was past its best, though clean. The room for us was a little cramped, we had two teenage boys. So next time a bigger room would be better for us. But we will definitely return. There should be a separate pool area for children as it was very noisy and busy around the pool. The kitchen area in the room was very basic. Good location and very clean. The rooms were fairly basic, and for the cost I would have thought it would have been a bit nicer. The breakfast was poor and not worth the money - I would recommend taking the short stroll to a bakery around the corner for croissants and coffee and sit on your balcony in a morning. There was no shading on our balcony in an evening making it impossible to sit out on - an umbrella would have been nice. The hotel was a nice place for a long weekend in the sun. The pool area was lovely with views looking over the sea. It was only a short walk to the beach and there were a few nearby restaurants. It's only 5 euros in a taxi to Port D'Andrax which has much better restaurants/bars and atmosphere to spend an evening. There's a shop in the reception area where you can buy coffee/milk/snacks/icecream/water, which was really useful.